January, 1999: Apprentice mage Azaka Kokutou, Mikiya's younger sister, has been ordered by her mentor, Touko Aozaki, to investigate a certain incident in which fairies steal the memories of students at Azaka's school, Reien Academy. Azaka launches an investigation with the help of Shiki. 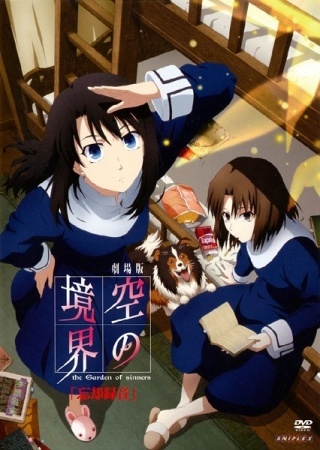 Watch Kara no Kyoukai 6: Boukyaku Rokuon Episodes Online at Animegg.org. Kara no Kyoukai 6: Boukyaku Rokuon is available in High Definition only through Animegg.org. Choose an episode below and start watching Kara no Kyoukai 6: Boukyaku Rokuon in Subbed & Dubbed HD now.